4 things you should do before you start engagement ring shopping! Congratulations! Getting engaged is an exciting and important event in your life. Are you sure you want to do this? Kidding!! It is a wonderful feeling when you find someone that you would like to spend the rest of your life with. 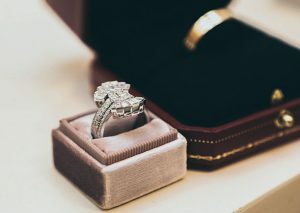 Before you head out shopping for the perfect ring, there are some important things you should do first! What is her style? If she has a Pinterest account I highly suggest you follow. 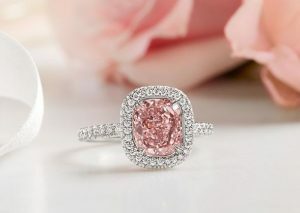 Your sweetheart likely has a page dedicated to engagement rings. Don’t become overwhelmed by the 1000 pinned images and panic. Relax you are going to be fine. Look at the images and see if you can pick out 3 or 4 common design elements. No Pinterest account? Go on a lunch date and casually wander into a fine jeweller. Try on a few styles and watch her reaction. Focus on style only. She may love estate jewellery or alternative gemstones. Sales people love to talk about price but leave all discussions of price out of this initial experience. Don’t kill the romance with a price tag and definitely don’t rush into anything. 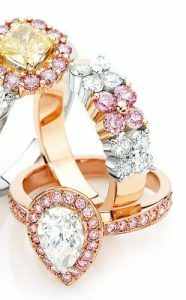 There is a lot of information on the internet about diamonds that can become overwhelming contradicting and confusing. If the internet is your preferred place of research then I am going to make it really easy for you. You only need to visit two websites The Gemological Institute of America and The American Gem Society. These two organizations are the most trusted gemological research labs in the world. Another great way to learn about diamonds is from an Independent Gemologist Appraiser. An Independent is not in the business of buying or selling. Sales associates most often are very professional and helpful but at the end of the day their job is to sell. In my lab I offer a 45 minute engagement consultation service where I go through hands on demonstrations of the 4 c’s (Cut, Colour, Clarity, Carat). This allows clients to visually see the differences between grades in the grading system. You will leave feeling confident with your diamond knowledge and properly prepared to go out and make that purchase in a store or online. I spent many years working in a retail role and clients would always ask me how much they should be spending. There was an old rule that stated 3 months salary was the benchmark for an engagement ring and then over the years I heard it climb to 6 months. The real answer is whatever you are comfortable spending! Do not overextend yourself financially over an engagement ring. This is an exciting time. Don’t put unrealistic financial pressure on yourself. There are beautiful options in all price ranges you just need to know what to look for and where. I always suggest take the time to look at your personal finances or even consult a financial advisor to help you set a realistic budget. Ring size is very important! Rule of thumb is that most rings should not be sized more than two sizes up or down. Some designs with more intricate details should only be sized a half size up or down. Others should be ordered to fit. Make sure you purchase from a reputable fine jeweller with an expert Goldsmithing team that can properly guide you along the way. Thank you for taking the time to read this blog post! I hope you found it helpful. Congratulations on finding your person and best of luck choosing your engagement ring!